GoodReads Summary: Based on the true story behind Gilbert Stuart's famous portraits of Washington, this funny historical read will leave rascals, ruffians, and troublemakers of all ages laughing. Charlotte, James, and baby John have promised to be on their very best behavior for when George Washington comes to have his portrait painted by their father, Gilbert Stuart. But, it seems like every time George Washington comes to visit, Charlotte has to write another apology letter, even when they try to follow George Washington’s Rules of Good Behavior. If these whippersnappers want any dessert, they are going to have to learn some manners—and fast! What results is a hilarious chain of events, a giant mess…and a painting that will be remembered for centuries to come. 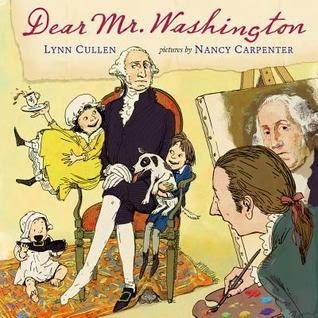 What I Think: I adore how Nancy Carpenter brings Lynn Cullen's imagined history to life. I happened to visit a photography class this week where the teacher was talking about early photography and how people had to sit sit for a few minute. She shared how this made many people look very stiff and almost unnatural in photographs. I recently saw something about this on Twitter and it was so interesting to me. It's a similar case with George Washington having to sit for the artist Gilbert Stuart. So much of what we capture in history are big moments but the behind-the-scenes stories seem to add so much personality and I find that they help us better understand the reality of life. Lynn Cullen only imagined what might have happened as George Washington posed for Gilbert Stuart but it's a wonderful opportunity to discuss etiquette and spur some imagination. As a mentor text, I would ask students to think about a big(ish) even in their lives - maybe the first day of school, their favorite birthday, a visit to a special place. If they have a picture of the event, they can bring it in or they can draw a picture of it as a reference. Then ask students to tell the story of that day or leading up to that day. Instantly, what comes to mind for me is my wedding day. We have all sorts of beautiful pictures of my wedding day but what those pictures don't show are that my dad cut his finger badly and had to the emergency room to see if he needed stitches hours before we had to leave for the airport (we had a destination wedding), that my dad (in his haste) accidentally ran over my carry on as he was backing out of the driveway, that my cousin (who was a Maid of Honor) locked herself out of her hotel room minutes before she was supposed to leave for the ceremony and had to convince a hotel worker to let her back in so she could get changed into her dress. There are other stories I can tell about that weekend and all of these details that I know and remember make my wedding so much more special. This is an opportunity to help students see how they might expand upon an event. Students might even interview a family member or another adult about an experience they remember and ask him or her to tell about all the little moments leading up to that big event. Within this story, Washington sends the children some rules to follow to practice good behavior. Of course, Nancy Carpenter illustrates this perfectly - having Washington act out some silly things. What if students were asked to write some rules of good behavior for adults? Students are observant and can be super intuitive. I think it would be great to discuss some rules they might want to share with adults or possibly some rules that seem logical but that are important to point out. This might be an opportunity to take pictures of non-examples and examples and put them into a presentation or video. I would suggest doing them Nancy-Carpenter-style and not taking this too seriously - add a little imagination, have a little fun! and Stockings fit and how Handsome you are. slowly with your Mouth open. no go upon your Toes in a Dancing fashion." Writing Prompts: Write your own rules of good behavior - but instead of writing them for boys and girls - write them for adults in your life. How might you keep them simple but send a clear message at the same time. 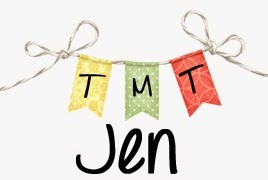 Choose an event or moment in your life that stands out to you - take some time to share the little stories that make that moment memorable to you and bring it to life for your reader. Let's Celebrate Warm Weather and nErDamp Friends! Let's Celebrate 2014 Cybils and Saying Good-Bye!